One of the challenges in doing this sort of photography is the inconstancy of street numbering. 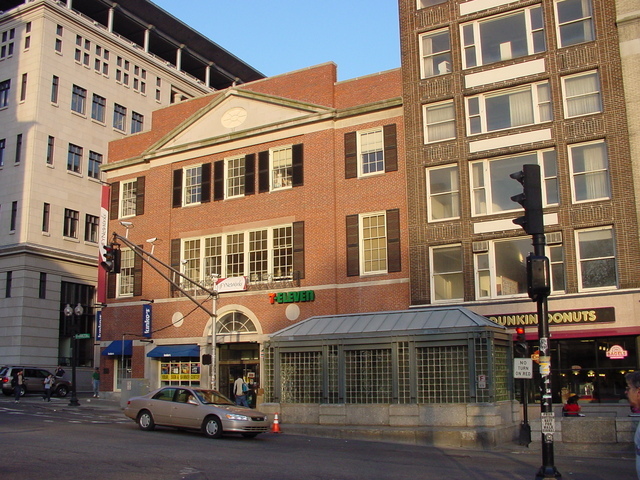 I was looking for 124 Tremont Street, which was the home of one of the major Boston publishers, and couldn't find it. My best guess is that it was located on the site of one of these three buildings (although in Boston it's hard to be certain that the numbers themselves haven't shifted), but without doing a lot of map research it's difficult to tell.